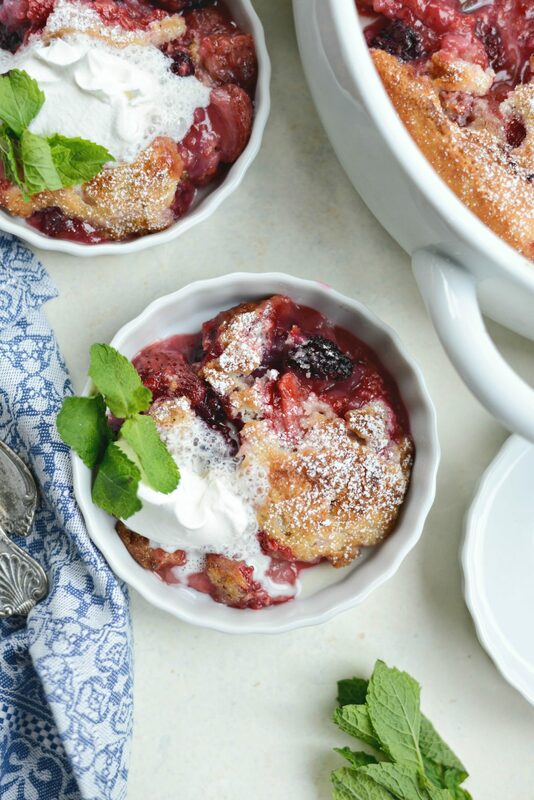 Three berries, one cobbler. 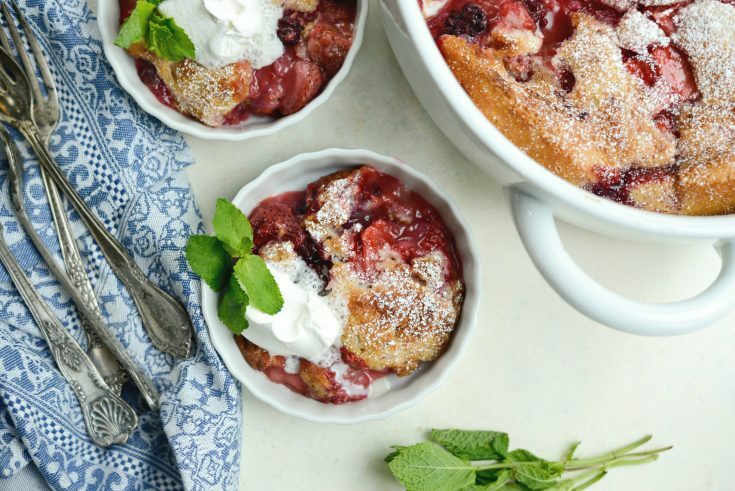 This Triple Berry Cobbler is bursting at its seams with summer berries. 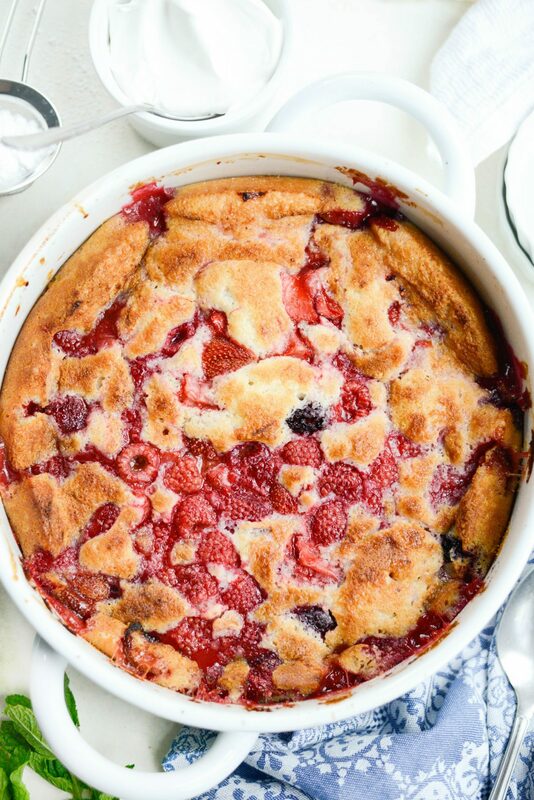 It’s sweet and tart and the berries are cocooned in a deliciously moist cake. 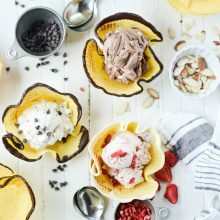 Serve spoonfuls in shallow dishes with a dollop of whipped cream or vanilla ice cream. 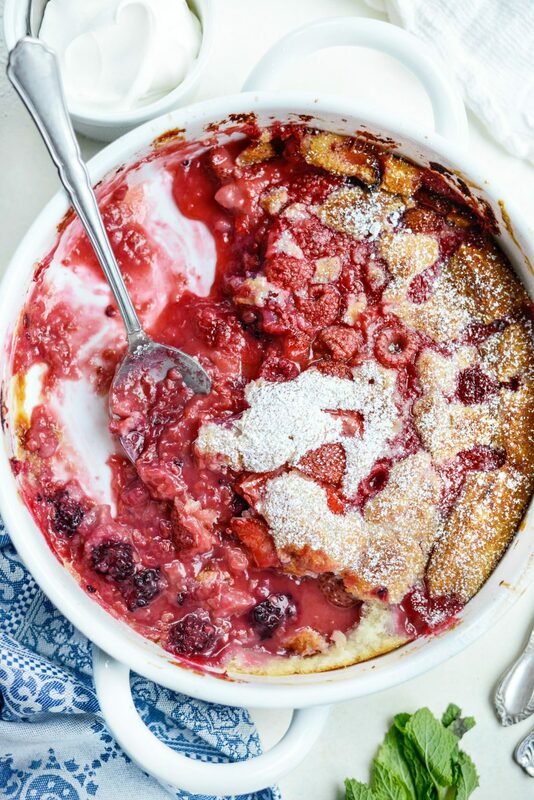 What I love about cobblers is their simplicity, not only just to whip up but the ingredients too. Basically you can just pick your fruit, make the quick cake and essentially dump them together in a baking dish and pop it into the oven. <—THIS is why I love it so. The last time I made a cobbler it was this brown butter peach version in 2014. 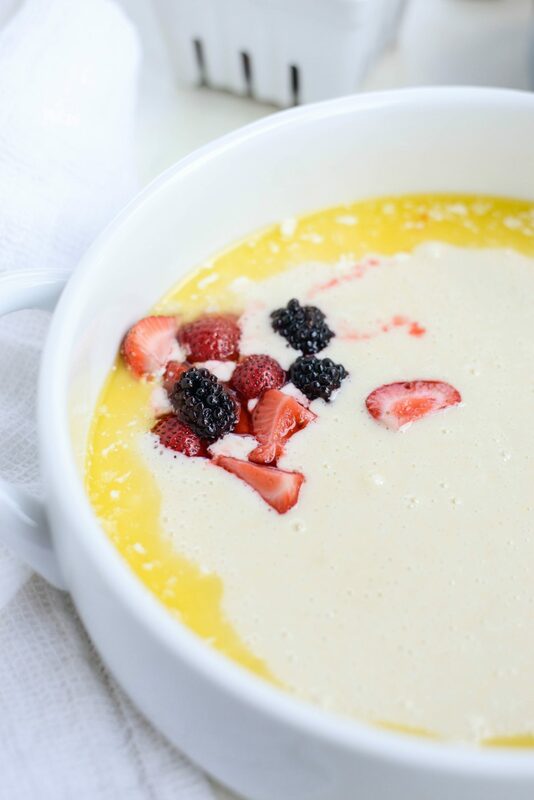 This past weekend I decided to give it a try using summer’s vibrant, seedy berries instead. My berries of choice? 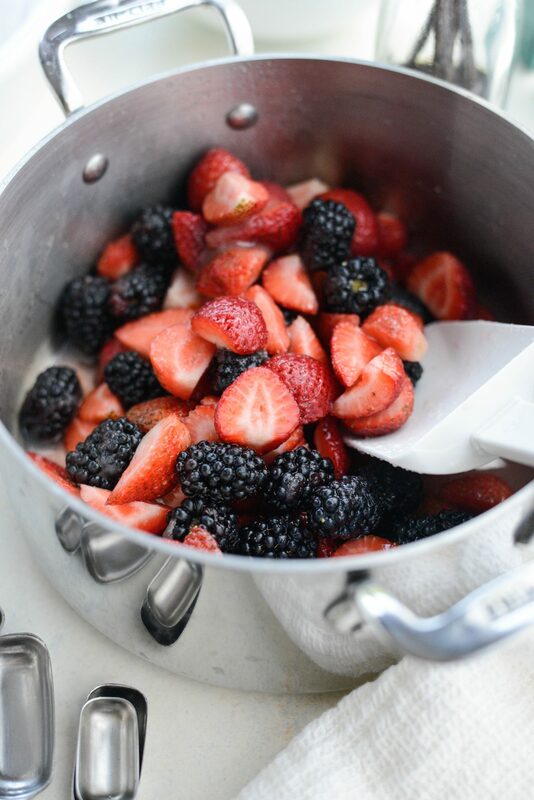 Strawberries (obviously), raspberries and blackberries. 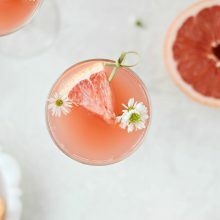 In my opinion they create the most beautiful pink color when cooked, and besides being a delicious sweet and tart combo, I’m all about the color. Blueberries would’ve be fine too (I guess) but they tend to turn everything blueish purple and that’s not the color I wanted. <— drama. 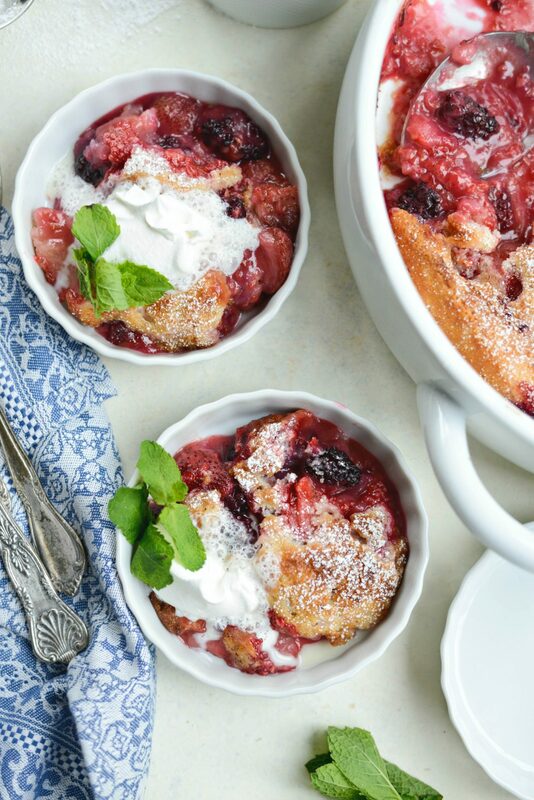 To make this triple berry cobbler you will need: 2 cups hulled and halved strawberries, 6 ounces of blackberries and 6 ounces of raspberries, lemon, flour, sugar, baking powder, salt, flour, half & half, melted (unsalted butter) and vanilla extract. 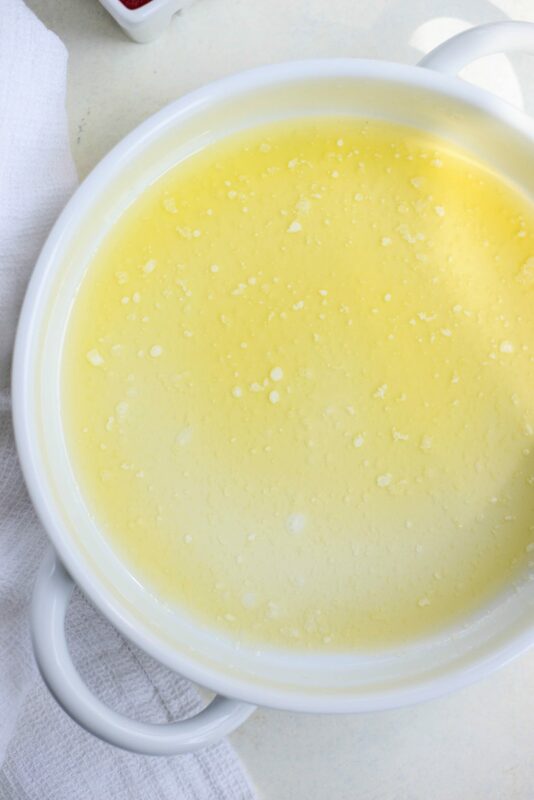 Melt one stick of butter in a small saucepan and pour it into a 3 to 3.5 quart or 9x13x2 baking dish. 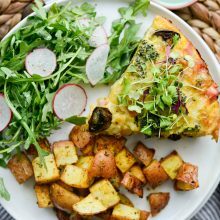 Then, in a medium bowl combine 1 cup all purpose flour, 1 cup sugar, 1 tablespoon baking powder and 1/8 teaspoon kosher salt. Stir together, then pour in the half & half and mix until just combined. Then pour the cake batter over top of the melted butter and set off to the side for a moment. 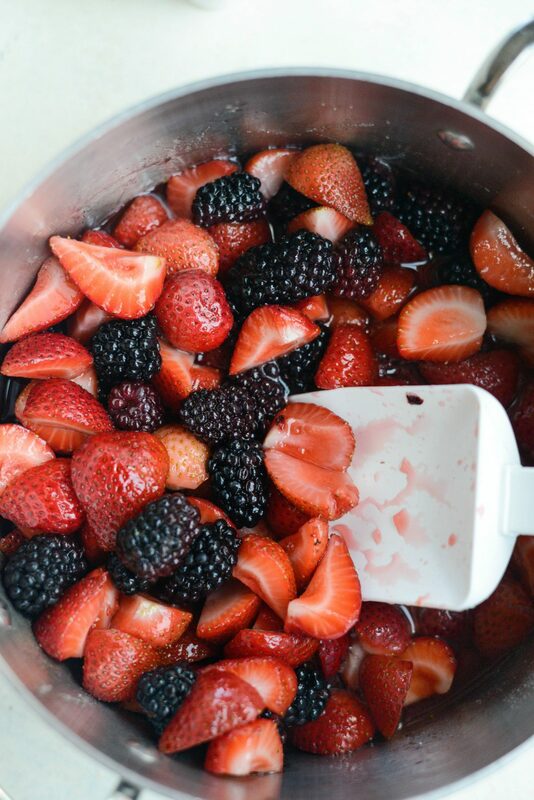 In a medium saucepan, add the strawberries and blackberries (NOT the raspberries! ), the remaining 1/2 cup of sugar and juice of a small to medium lemon. 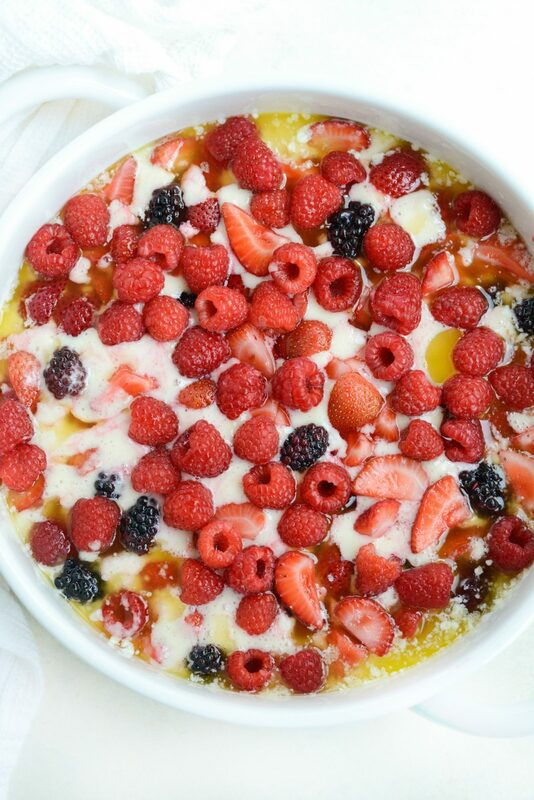 I don’t add the raspberries because they’re super delicate and would fall apart after one stir of the pot. Toss to combine and heat on high until the liquids in the pan boils, then immediately remove off the heat– this should only take a few minutes. 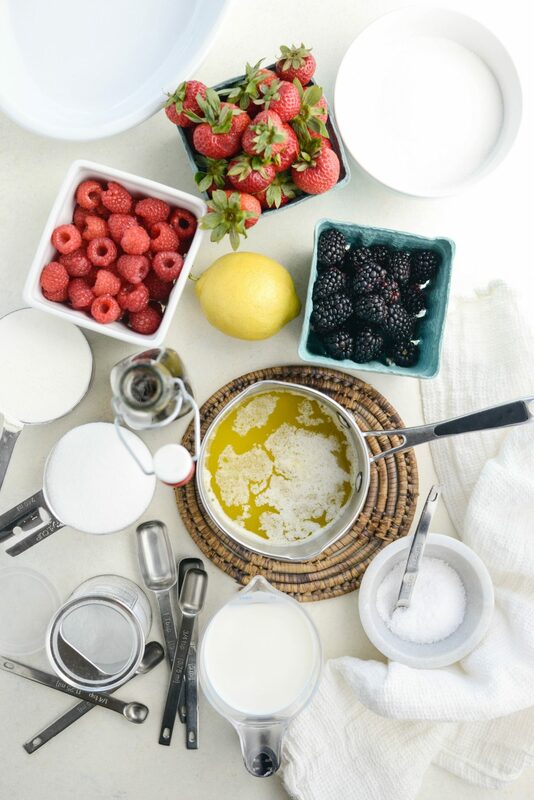 Use a spoon or curved spatula to spoon the berries on top of the cake. Then scatter the raspberries over the top. 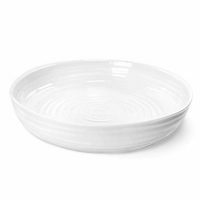 Slide the baking dish into your preheated 375°. Bake for 40 to 50 minutes or until the top is richly golden brown. Halfway through, rotate the pan for even cooking. When a cake tester is inserted, it should come out clean. It’s like total magic amiright? And it smells heavenly!! 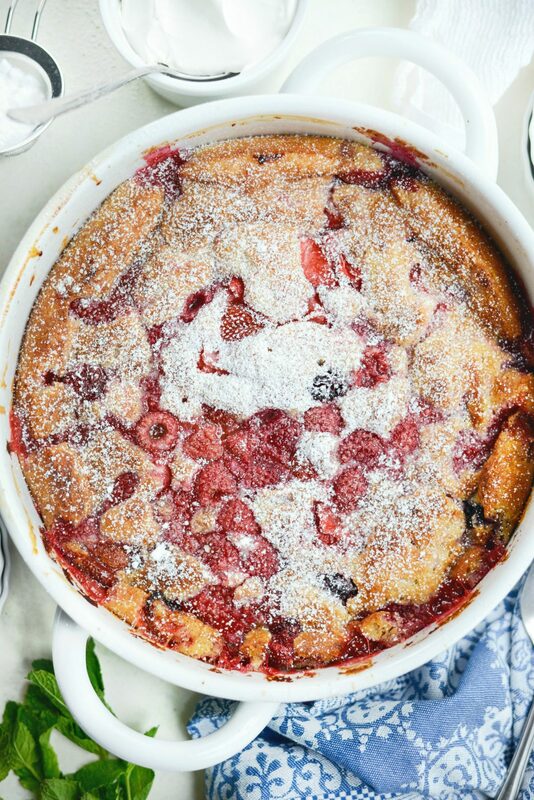 Allow the triple berry cobbler to cool for at least 15 to 20 minutes before dusting with powdered sugar. 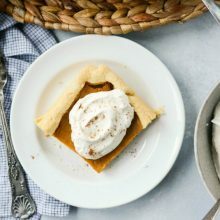 Serve spoonfuls in shallow dishes with a dollop of either homemade whipped cream or vanilla ice cream. Enjoy! 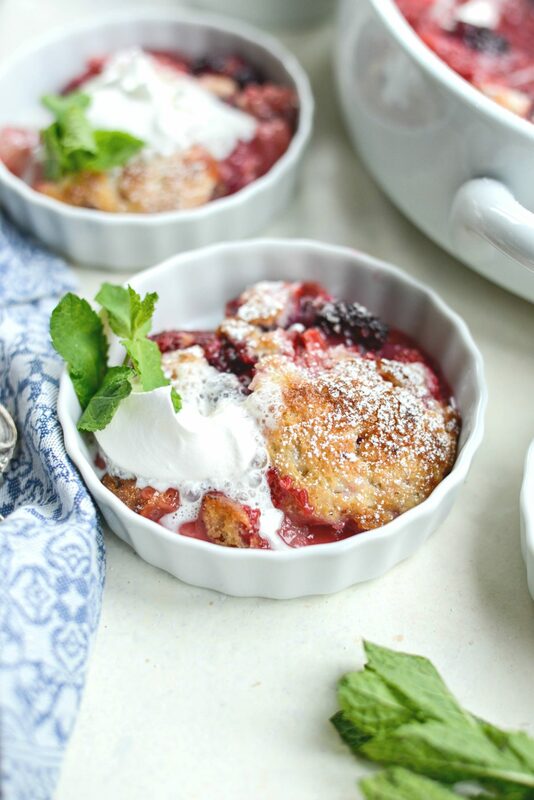 And if you give this Triple Berry Cobbler recipe a try, let me know by snapping a photo and tagging me on twitter or Instagram! 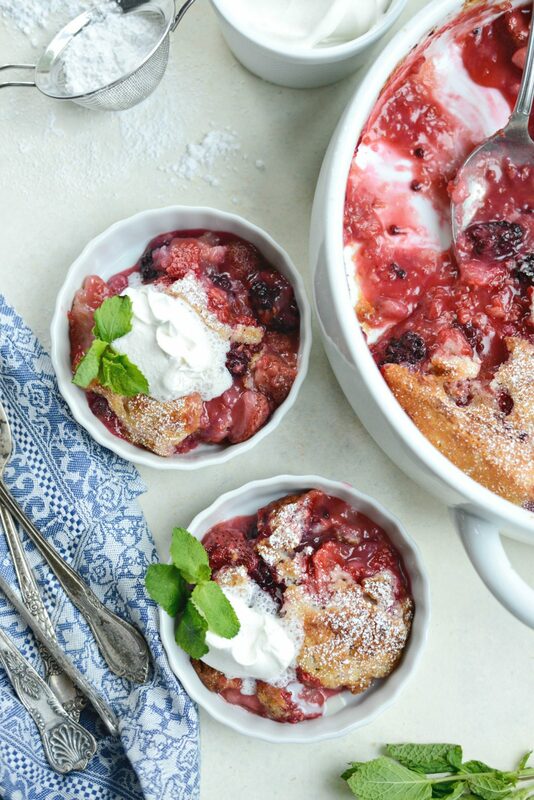 Three berries, one cobbler. 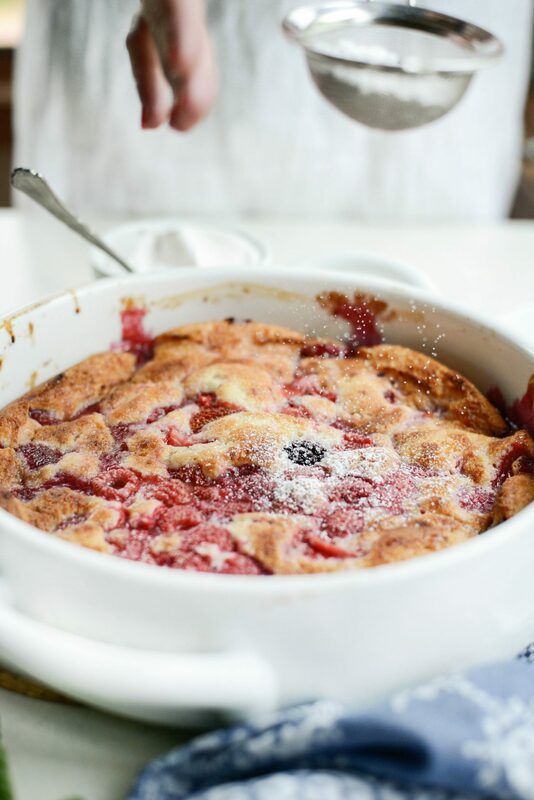 This Triple Berry Cobbler is bursting with summer berries, it's sweet and tart and with a deliciously moist cake. 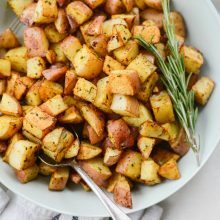 I could eat this whole pan. homemade whipped cream or vanilla ice cream, for serving. Melt the butter and pour it into a 3 quart or 9x13x2 pan. 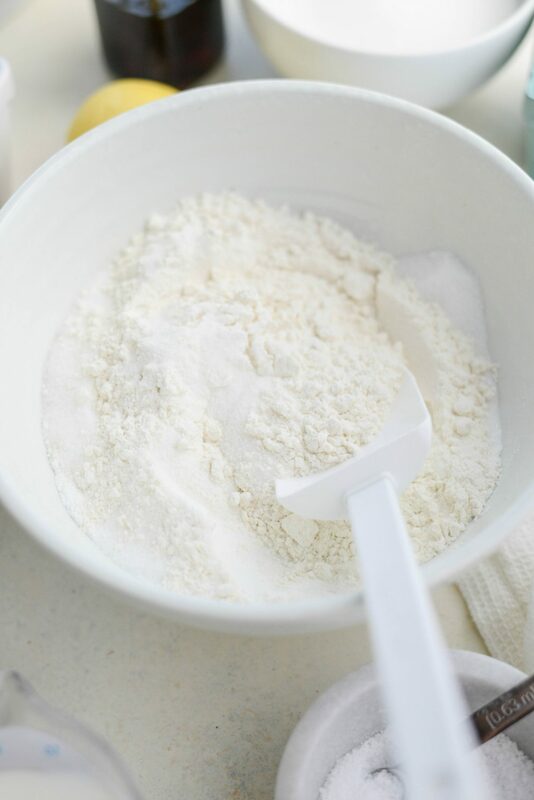 In a medium bowl combine the flour, 1 cup sugar, baking powder and salt. Pour in the half & half and mix until just combined. 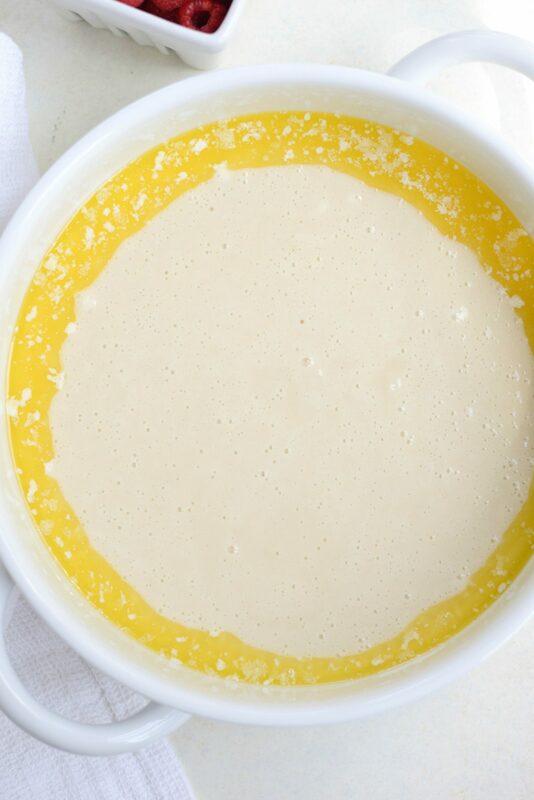 Pour the cake batter over top of the butter and set aside. 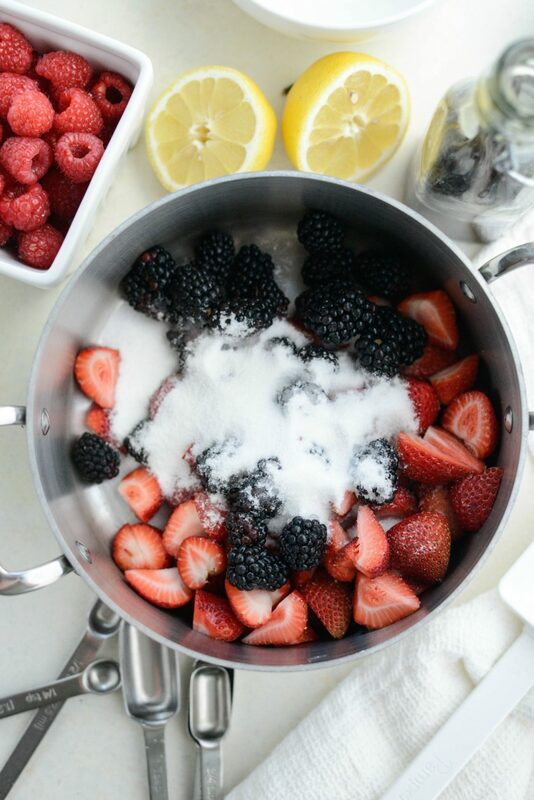 In a medium saucepan, add the strawberries, blackberries (NOT the raspberries), 1/2 cup of sugar and lemon juice. Heat on high, stirring gently and occasionally. 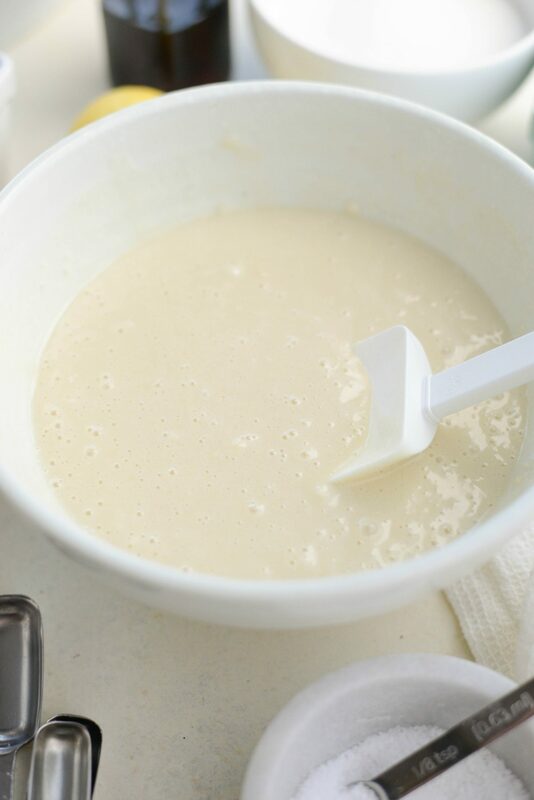 Once the liquids come to a boil remove off of the heat, stir in vanilla and then spoon evenly onto the cake batter, the juices too! 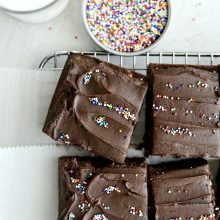 Slid the baking dish onto the middle rack of your preheated oven and bake for 40 to 50 minutes (rotating halfway) until the top is richly golden and a cake tester comes out clean after inserted. Allow the cake to cool for 15 to 20 minutes before dusting with powdered sugar. 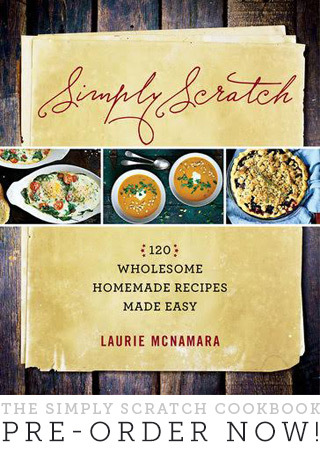 Serve spoonfuls into shallow dishes with a dollop of whipped cream or vanilla ice cream. Gah! Thanks, Colleen! Yes, glory = flour silly autocorrect! I appreciate the heads up and have made the changes. Laurie- Rave reviews from the guys at my house. I loved it, too. It’s a keeper!